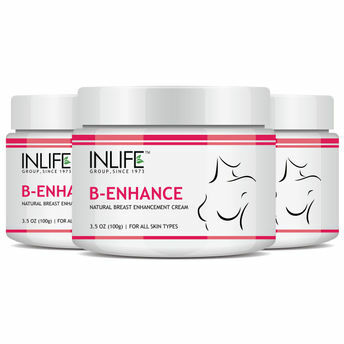 INLIFE Breast Enlargement Cream is made from natural herbs, which gives a complete care to your breast. This specially formulated cream is packed with powerful extracts that may support cell growth, cell rejuvenation and cell renewal. The cream gets well absorbed into your skin and supports the growth of tissues around your bust. The ingredients present in the cream penetrate deep into the cells and nourish them from within. Explore the entire range of Breast Firming Gel available on Nykaa. Shop more Inlife products here.You can browse through the complete world of Inlife Breast Firming Gel .